At the age of 18 Colin, a founder member of the National Youth Orchestra of Great Britain, played Mozart’s Clarinet Concerto with the orchestra at the Edinburgh International Festival. Nine years later, he was appointed Principal Clarinet of the BBC Symphony Orchestra. His first solo appearance with the orchestra was at the Proms in a performance of Debussy’s Première Rhapsodie, and during the next thirty years he performed in concert halls all over the world, as well as returning with the orchestra every year to the Royal Albert Hall, where his playing of the clarinet cadenza in the Henry Wood Fantasia on British Sea Songs became a regular feature of the Last Night celebrations. Colin Bradbury’s solo career took a fresh turn in the 1980s, when he began to collaborate with the pianist Oliver Davies in discovering, performing and recording little known nineteenth century music for clarinet and piano. Their researches in libraries throughout Europe led to the production of four CDs. Three of these, The Art of the Clarinettist (CC0008), The Bel Canto Clarinettist (CC0014) and The Victorian Clarinet Tradition (CC 0020) are on the Clarinet Classics label. Colin now combines his solo career with lecturing and adjudicating, as well as giving illustrated talks about his life in music. 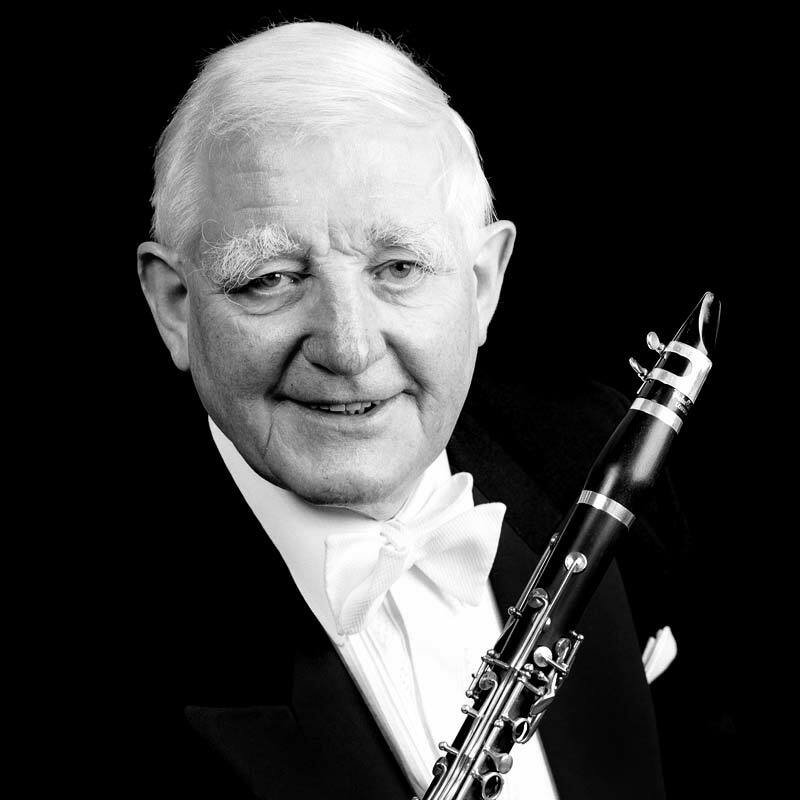 He has also recently ventured into the film world, playing the part of the retired clarinettist, Olly Fisher, in “Quartet”, directed by Dustin Hoffman and starring Maggie Smith, Pauline Collins, Tom Courtenay and Billy Connolly, released in 2013.